The universal F15 is a powerful pneumatic tool, which is light weight and is used for sanding and denibbing the edges of stacked components. It is usually fitted with QuickFlex abrasives, but can also be fitted with the complete range of QuickWood abrasives. 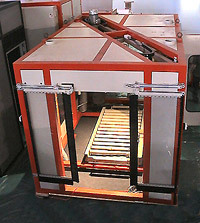 This rotary table with clamp utilises the F15 to its optimum, different configurations are available on request. 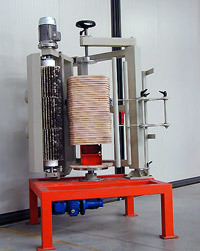 Built to customers requirements, this unique machine will edge sand and denibb all types of edges in a stack. Full CNC edge stack sander. 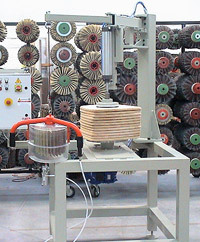 This machine is through-feed and has a unique sensing device which tells the sanding heads where the component is. 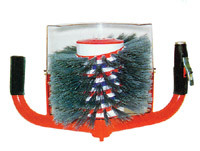 Both heads have reversing features so you can sand with two different grades of abrasive.